If Canyon Lake had to be described in one word, that word would be unique. 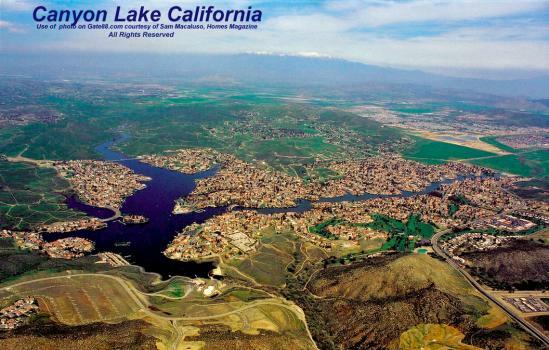 Canyon Lake began as a master-planned community developed by Corona Land Company in 1968. The Lake originally was formed in 1927 after Railroad Canyon Dam was built. It covers 383 acres and has 14.9 miles of shoreline. 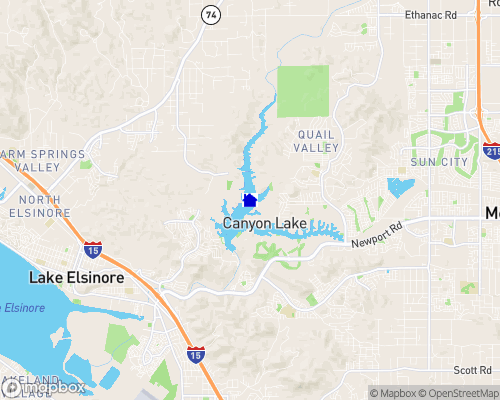 Located within about an hour from Los Angeles, Orange, and San Diego counties, Canyon Lake is just minutes from all the business, entertainment and fun of virtually all aspects of So ...Learn more here! If Canyon Lake had to be described in one word, that word would be unique. Canyon Lake began as a master-planned community developed by Corona Land Company in 1968. The Lake originally was formed in 1927 after Railroad Canyon Dam was built. It covers 383 acres and has 14.9 miles of shoreline. 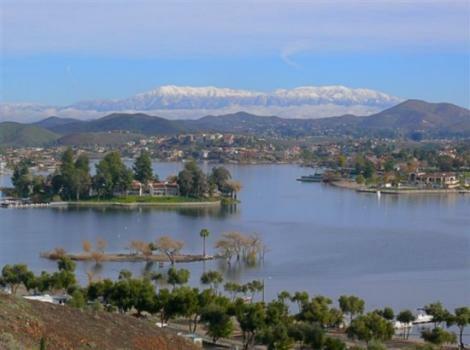 Located within about an hour from Los Angeles, Orange, and San Diego counties, Canyon Lake is just minutes from all the business, entertainment and fun of virtually all aspects of Southern California. The community nestles around the shoreline of the lake; it's not possible to be far from the water anywhere in Canyon Lake. There is an 18-hole golf course, and equestrian center, tennis courts, numerous parks and beaches, a campground and other amenities that cater to virtually any kind of activity that sun and water can provide. Residences in Canyon Lake range from unique executive custom beauties to affordable family homes. The community's 11,000 residents find many of the services they require right across the street from the main gate in the neighboring office/retail center. There you will find such service-related businesses as accountants, attorneys and doctors, as well as a market, dry cleaner, several restaurants and retail stores. City Hall and the Property Owners Association offices are located in the same area. Other businesses can be found near the East gate, where there are gasoline pumps, a mini-market and several services businesses. Water Level: Average water level variance? 4-6 ft.